UPDATED: May the 4th Weekend Programming on Disney XD? Recently, we discovered that 25 lucky bloggers will be attending a Disney/ABC event on May the 4th. There, the attendees will see a preview of Star Wars Rebels. Could Disney XD also be planning something that weekend for the rest of us? Browsing through the Facebook #StarWarsRebels hashtag, I found a post by a Star Wars Rebels fan group with an intriguing photo. 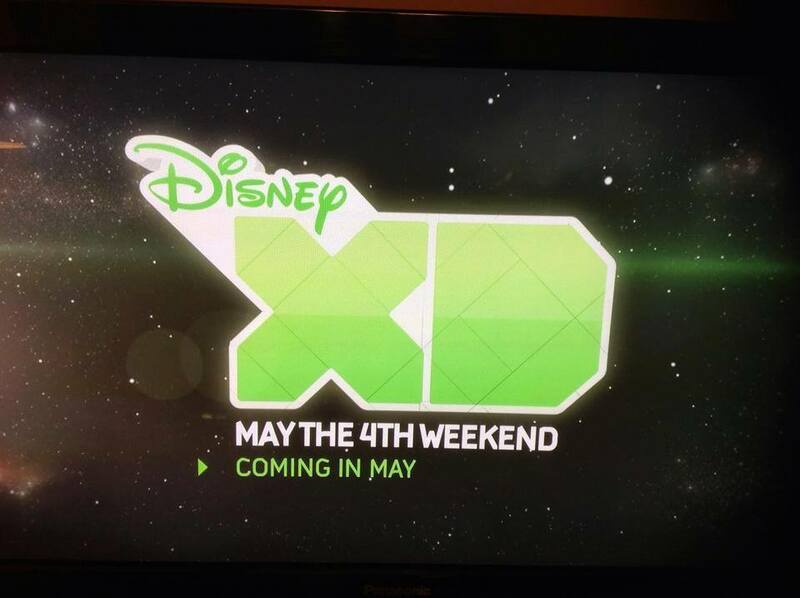 It’s the Disney XD logo with “May the 4th Weekend” and “Coming in May” captioned beneath it. We may have some Star Wars programming that weekend. The Disney XD schedule does not go that far ahead, but I am sure we will find out more soon. Takeel, a MakingStarWars.net reader, brought to our attention that the Disney XD schedule has a TBA notice for the 7PM and 9PM half-hour slots on May the Fourth as well as a 7:30 AM slot on the fifth. Thanks, Takeel! The episode airing at 7PM and again at 9PM is called, “Star Wars The New Yoda Chronicles – Escape from the Jedi Temple.” It is a LEGO episode featuring the old trilogy cast. I saw a commercial for it on Disney XD. Also found this on the Disney XD schedule.